This is Welsh folk historian and singer Meredydd Evans talking about language and culture. He talks about how identity is something that needs to be fought for; something he speaks from experience on. Despite being a respected academic and a former BBC Head of Light Entertainment; he also has a history of appearing before courts for his beliefs. As a teenager, he had to face a military tribunal to defend his decision to be a consciousness objector during World War II. And then on October 11, 1979 all the televisions in the Aberystwyth area suddenly lost their signal. Meredydd was one of three protesters who were found guilty at Carmarthen Crown Court of illegally switching off the Pencarreg TV transmitter in Carmarthenshire. 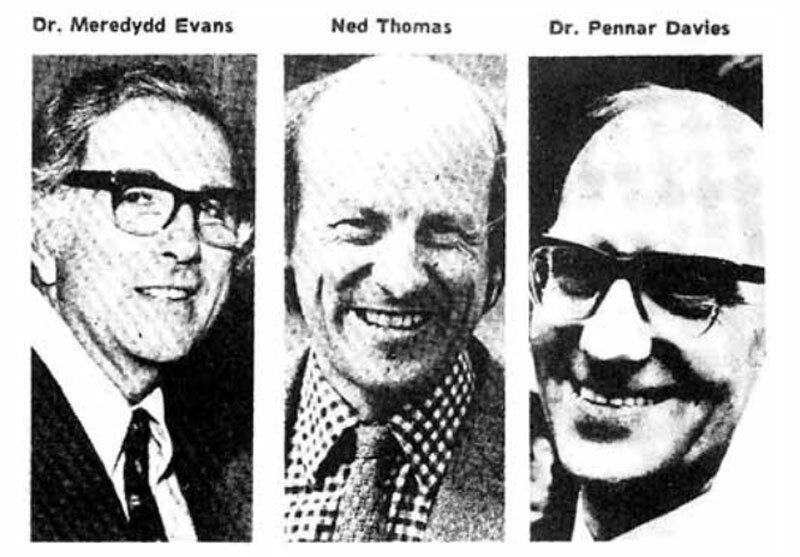 It was part of a long running civil disobedience campaign to pressure Margaret Thatcher’s Conservative Government into establishing a Welsh language television channel – S4C was launched in 1982. After leaving your home community and going outside; that’s when you look back. And you begin to realise that there are pressures which threaten your very existence. I saw myself that you have to struggle consciously for your identity – not because you’re better than anybody else. Or that your culture is any greater…that’s not it. It just happens to be yours. You make sense of your life in terms of that culture. It’s that basic. Here’s one of his folk songs, Beth Yw’r Haf i Mi, given a modern spin by Carcharorion. The three protesters found guilty of damaging the Pencarreg transmitter.